Believed to be one of the seven churches established by St. Thomas, St.George’s Forane Church at Aruvithura, popularly known as Aruvithura Church is one of the churches in Kerala which collects the largest amount of monetary offerings during the festival days. The annual feast of St. George is celebrated from 22nd to 24th of April. 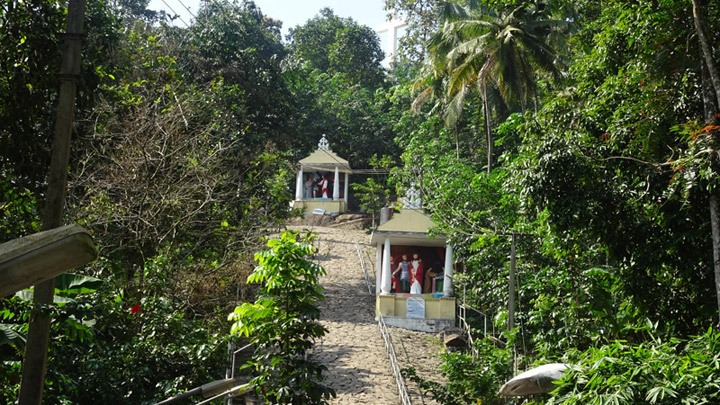 The church is situated 11 km from Kottayam town.